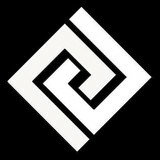 Green Orleans Concrete Designs is a locally owned and operated, licensed and insured, full-service concrete contractor. Specialize in all aspects of concrete design and installation, including driveways, walkways and sidewalks, steps, patios, interior floors and counter tops. Our decorative treatments include concrete resurfacing, engraved and scored concrete, stamped concrete, stained and colored concrete, and designs incorporated into concrete surfaces. We've also managed traditional smooth concrete projects of all sizes in addition to our decorative work. La Concrete Work is an Metairie, LA concrete contractor that specializes in all types of concrete construction including concrete foundations and concrete retaining walls in Southeast Louisiana. From driveways to patios we are a concrete contractor you can depend on to do the job correctly the first time. We provide complete Concrete Services and we’ve been doing it for several years! We are one of the most trusted concrete companies in the area with a great staff in New Orleans! Locally owned & fully insured. Please call us today! Top of the Line Concrete and Masonry is a concrete contractor serving homeowners and businesses in Slidell and the neighboring communities. We handle regular and decorative concrete projects, from stamped concrete and concrete overlays to driveways and parking lots. You can also come to us for high-quality brick or stone work. No matter what the job is, count on us to complete it with excellent workmanship. We bring more than 20 years of industry experience to each job to ensure excellent concrete and masonry work. Trust your regular and decorative concrete needs to us. Rest assured that we will deliver results that you will be satisfied with. Call us at (985) 807-1523 today for inquiries. Top of the Line Concrete and Masonry: Where our services are always top-of-the-line! Based out of Hammond, LA. Providing decorative landscaping curbing. There is no limit to the product in which we can produce for you. Stamped concrete is beautiful, long-lasting; it makes a statement. Stamped concrete has the realistic look of stone and is permanent, durable concrete. It is a cost-effective alternative to pavers and natural stone and is more quickly installed. Stamp Concrete’s talented craftsmen have years of experience. They have the design and construction expertise to take your concrete project from concept to completion, exceeding your expectations. Their attention to detail will ensure that your project is completed to your exact specifications. We work hard to make sure that you are completely satisfied; our customers are our top priority. We are Licensed and Insured. 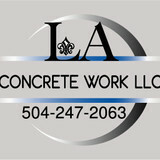 Landrieu Concrete manufactures & delivers ready-mix concrete. New Orleans, as well as all the River Parishes, can trust us for quality concrete on schedule, cement sourcing, concrete production and exclusive concrete deployment technologies that reduce costs and empower contractors to provide their customers with unmatched speed and quality of concrete installation. 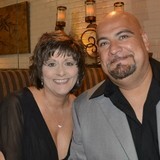 Royal Contractors, LLC is a family owned and operated business. We continue to go above and beyond what is expected. We pride ourselves in doing that little extra. Our crew consist of 2 generations of carpenters and craftsmen, who we believe are the best, and share our vision and work ethic. Royal Contractors does the renovation of homes for its sister company Royal HomeBuyers, as well as for several other investors in the New Orleans area. This has given us the ability to understand exactly what investors, as well as individuals, needs are. We understand the importance of budget, timeline, and end product. Royal Contractors, LLC is licensed, insured, and has an A-Rating with the BBB. We also have a Letter of Good Standing from Louisiana Department of Revenue. We are proud members of the Louisiana HomeBuilders Association These will be posted on our site as we continue to improve it. They are available upon request. We offer decorative custom concrete borders for both residential and commercial applications. We also provide concrete staining and repair services as well. Even though mostly used around garden and flower beds; certain styles of curbing we offer can be used along gravel driveways working as a retaining border to contain rocks into the driveway while still delivering a designer decorative look. Our custom border often replaces traditional wooden landscape tembers and metal garden edging that becomes either rusted, broken or rotted over time making each become more of a hazard and eye sore over time. Customers also often complain that traditional brick or concrete pavers either shift or allow grass to grow through making them difficult and time consuming to maintain. Our curbing is not only decorative, but is durable enough to withstand the test of time. If anything happens to your new curbing, we will fix it free of charge - guaranteed. Concrete Coatings Inc. is a full service concrete repair and beautification company. Specializing in decorative concrete, Concrete Coatings Inc. uses acrylic coatings, cement coatings, stains, dyes, sealers, epoxies and resinous floor finishes to create a wide range of residential and commercial floor finishes. The Sundek system is ideal for patios, pool decks, driveways, walkways, interior and exterior floors, walls and concrete surfaces. The Sundek system can be applied creating a wide range of styles and textures to existing concrete surfaces. The Sundek system has been perfected over four decades and is ranked amongst the top and most widely used products in the nation. With Concrete Coatings Inc. we create captivating, functional, and natural looking finishes that enhance your surroundings. From stamped concrete, to stained concrete, epoxy garage floors and the ever so popular Classic texture, we have the tools and know how to get the job done right and have a surface that will be low maintenance and look great for years to come. 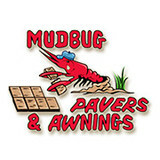 We are concrete providers and installers in the Slidell and surrounding areas. For the most part, people hire a stone or concrete contractor for large installations like driveways and walkways, or for home facades and exterior columns. These brick, pavers or stonework installations can add lots of functionality and visual curb appeal to your Louisiana home. Pavers come in a wide variety of colors, shapes and sizes, and the right vendor or specialist can help you choose a color and design that complements your existing landscaping. From installing new exterior columns to repairing your chimney, masonry contractors can help you add both visual appeal and value to your property. They’ll know what kind of installation makes the most sense for your Talisheek, LA climate and regional style. Looking for something that will develop a patina with time? Or would you rather have your home feel brand new for years to come? Choosing the right kind of stone involves thinking about the future, too. Experienced brick suppliers and stone suppliers can help you find the material that will work for your home now and for years to come. These professionals aren’t limited to exterior work either. Whether you want a split-stone granite wall in the kitchen or need help installing traditional brick masonry on your fireplace facade, you’ll want a professional to get it right. If you’re already working with an architect or designer, he or she may be able to suggest a good Talisheek, LA subcontractor to help out. Here are some related professionals and vendors to complement the work of stone, pavers & concrete: Landscape Architects & Landscape Designers, Architects & Building Designers, Garden & Landscape Supplies, Driveways & Paving, Siding & Exteriors. Find stone, paver and concrete professionals on Houzz. Search the Houzz Professionals section for Talisheek, LA stone, paver and concrete professionals. Browse photos and read reviews, and contact a pro if you like their work.